Well, look at this for some Tuesday morning make-up eye candy! 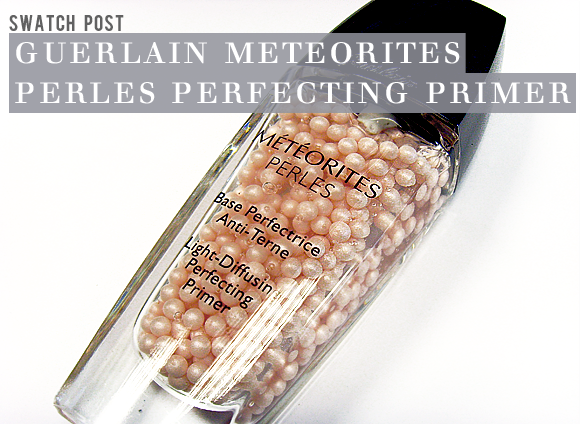 It’s beautiful to look at and incredibly luxurious to use – the Guerlain Meteorites Perles Light-Diffusing Perfecting Primer is an all-in-one skin prepper that brightens, smooths and perfects the skin. Ideal for those who want more of a dewy, luminous look from their make-up, the light-diffusing fluid makes even the matte foundations look fresh and youthful. The primer is made up of spheres of illuminating liquid suspended in a clear, moisturising gel. This makes for a really refreshing experience when applied. 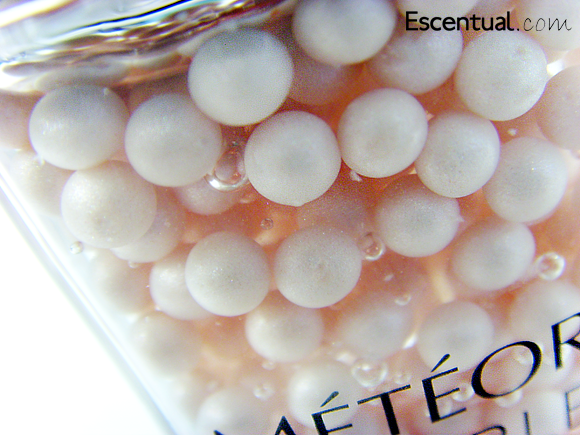 When the pump is pressed, the spheres are crushed and dispensed together with a small amount of gel. Blend these together to create your illuminating base. The complexion is corrected, and the light-reflecting properties of the formula work to disguise imperfections and fine lines. As it is so lightweight, there is no added shine added to the skin, only satin softness. 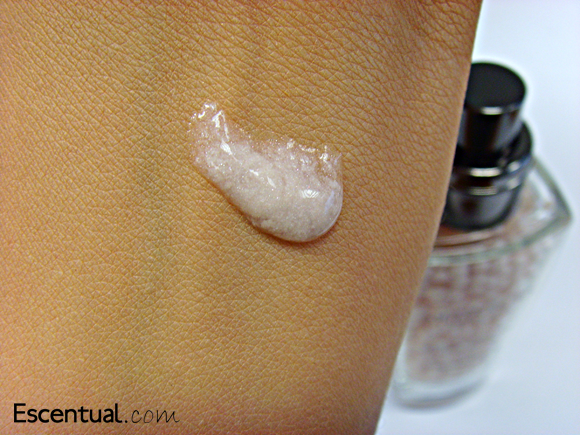 Use alone for a healthy-looking complexion, or underneath your makeup to add depth and radiance. I even use it on top of foundation as a highlighter for a subtle, glowy finish. I get a lot compliments on my skin and I am 66 years old! I use this on top of my moisturiser but it can be used on its own. I have very sensitive skin and this product makes it soft and subtly radiant. It really does what it says on the box. I finish off with Mythic meteorites Voyage pressed powder. It's absolute perfection. I adore Meteorites Base Perfectrice Pearls. 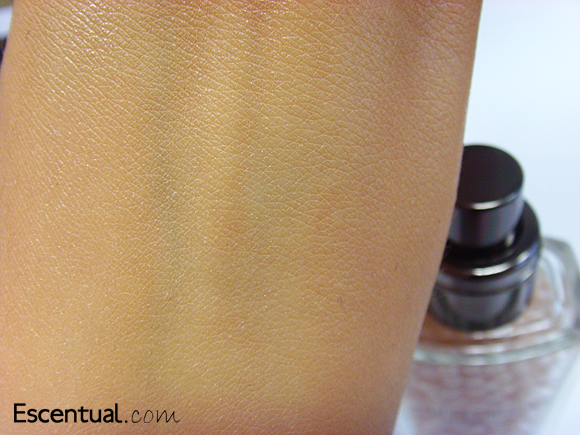 This entry was posted on Tuesday, September 4th, 2012 at 9:45 am and is filed under Make-up, Swatches. You can follow any responses to this entry through the RSS 2.0 feed. You can skip to the end and leave a response. Pinging is currently not allowed.